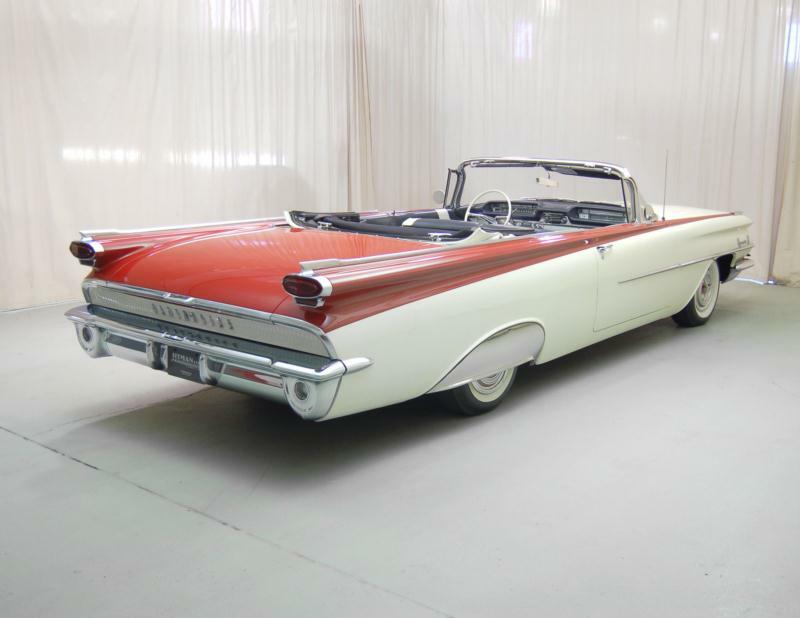 These were some of the cars developed by GM in a huge rush after the marketing of all-new long, low and finned cars by Chrysler Corporation in 1957 radically changed the expectations in the marketplace. Given the long lead-time normal to tool up cars, it has to be said that it was miraculous that these cars weren’t delayed until the 1960 model year. 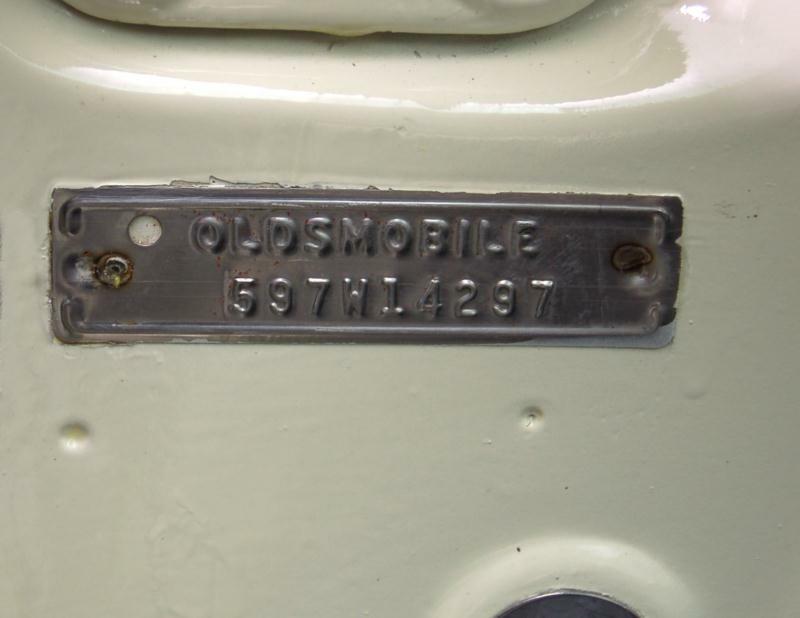 Oldsmobile had to work with what GM had available, and that meant that like all the other GM Divisions, the only part tooled up and ready to go were the Buick doors which had originally been planned for 1960. 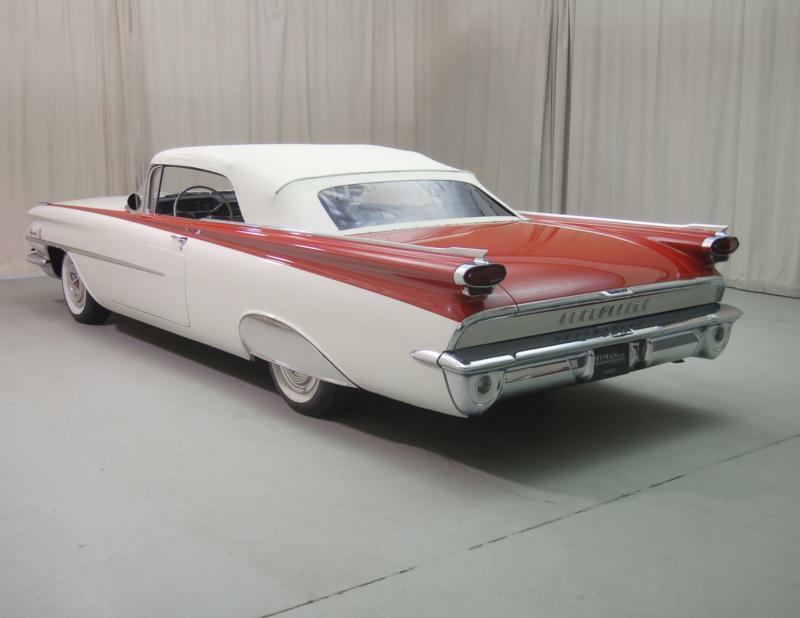 The Oldsmobile 88 shared the B-Body 123-inch wheelbase with Buick, but employed Olds’s own Lansing-built “Rocket” V-8, which was still 371 cubic inches for 1959 but with power now at 270 or 300 hp. New was a bored out 394 cubic inch V-8, standard on the Super 88 line, with a full 315 hp. Naturally, the front and rear styling, as well as the low-slung fin which culminated in the taillights, were Oldsmobile exclusives, and the turn signals between dual headlamps were unique. Body styles varied all the way from basic two-door sedan (starting at $2,837 for the Dynamic 88 line only) to Celebrity four-door sedan, Scenic hardtop coupe, Holiday hardtop sedan, Fiesta wagon and convertible coupe. All were available as Dynamic 88 or Super 88 cars. Base prices topped out at $3,595 for the Super 88 convertible, and weight topped out at 4,485 pounds for the Super 88 Fiesta four-door station wagon. 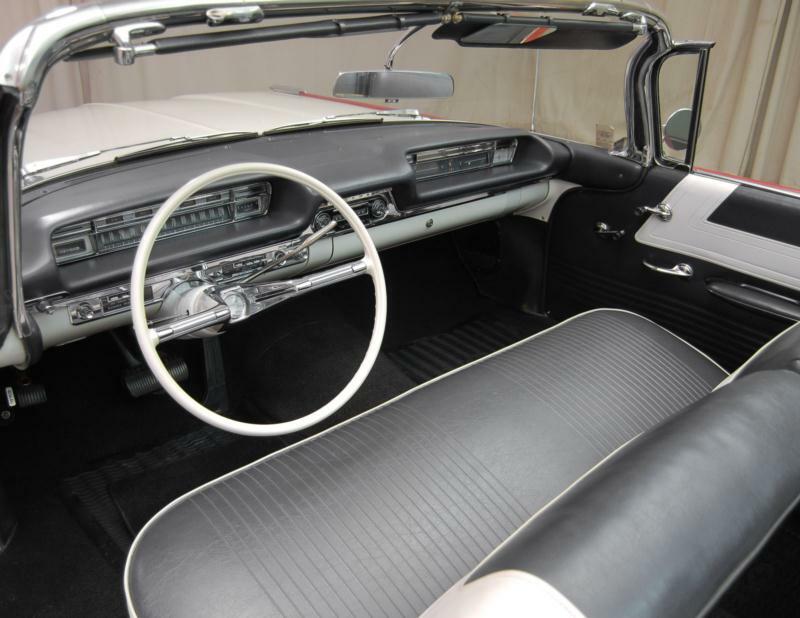 For 1960, the cars were restyled with exclusively Oldsmobile outer panels. The family resemblance was clear enough, and the interesting rear bumper had downward sloping ends which were identifiable two blocks away. 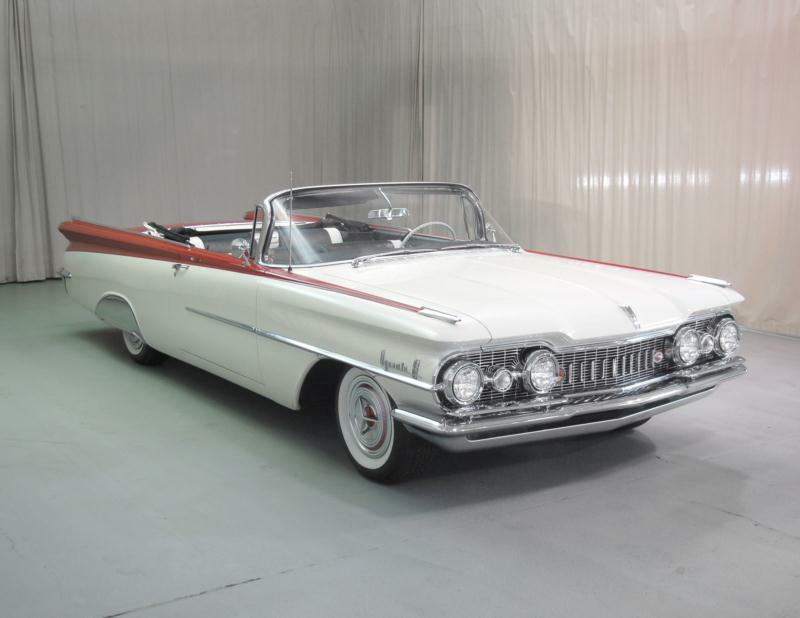 Oldsmobile had blown past Buick in the sales race, and were within 500 cars of passing Pontiac for fourth place in 1959 but slipped to seventh place for 1960. Solidly upper middle class folks were all too ready to buy plenty of these cars new, and Oldsmobile had plenty of repeat customers after their sales successes in the 1950s. By 1960, a full 77 percent of Americans owned a car, and 15 percent actually owned two cars. 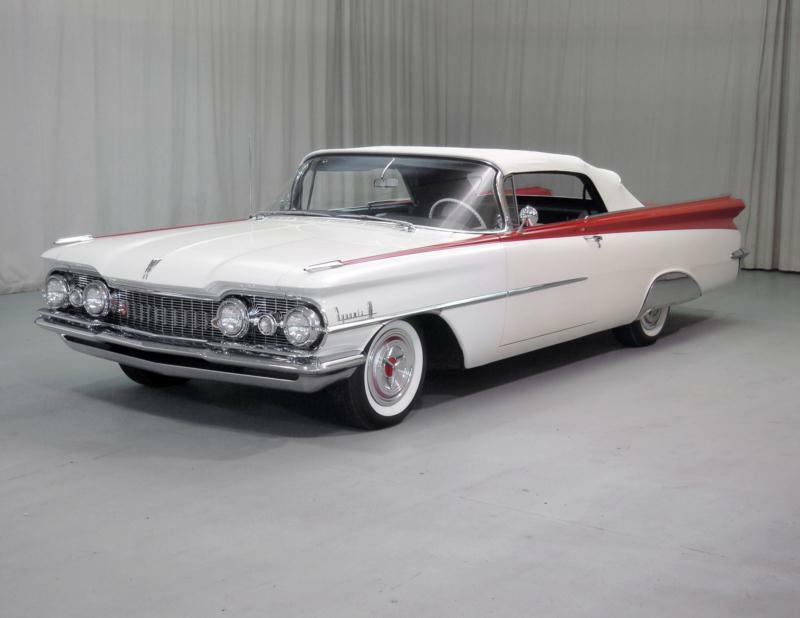 Click here to read Hemmings Motor News' Buyers Guide for the 1959 Oldsmobile Series 98.